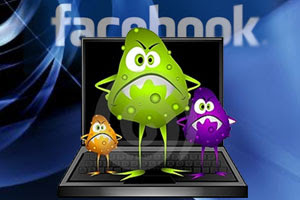 La alerta del falso virus llega por correo electrónico o mensajes de facebook, y los usuarios están reenviándola a sus contactos o publicándola en sus muros, distribuyendo aún más la mentitra, la falsa alerta...SI TE LLEGA UN CORREO DICIENDO ALGO SOBRE UN VIRUS QUE SE DESCARGA EN TU PC ES ALGO TOTALMENTE FALSO. ALERT — Has your facebook been running slow lately? Go to “Settings” and select “application settings”, change the dropdown box to “added to profile”. If you see one in there called “un named app” delete it… Its an internal spybot. Pass it on. about a minute ago….i checked and it was on mine.